The University of Bath Research Data Archive was established in 2015 to support high-quality research produced by members of the University. We undertake a wide range of globally significant research, often in external partnership with research councils, government, industry, charities, and European or international collaborators. The Archive seeks to make data supporting our research discoverable and accessible. Metadata are released under a CC0 licence to encourage re-use. The Archive can be searched by keyword, or browsed by Creator, Subject, Department, Funder and Year. Most datasets are also discoverable through the DataCite Metadata Store. Information about access to the dataset is included with each record. If the data are not openly downloadable, you can use the request access button to contact us about options for access to the dataset. Datasets published in the Archive have a minimum standard of metadata that ensure that data are described and discoverable. Dataset records are checked by the Library for presence of appropriate metadata. We encourage Creators to use licences on their datasets to promote reuse of the research data. Our preferred licence is Creative Commons Attribution 4.0, but several others are used. We expect any re-use to acknowledge the Creators in an appropriate manner, ideally through a citation similar to that provided with the record. Where there is no licence specified, you are advised to contact us to ensure your intended use is permitted. Metadata may be freely reused under a Creative Commons Public Domain Dedication licence (CC0). Datasets are best cited using the DOI where there is one. We recommend using this because it is persistent and ensures your links will remain functional. 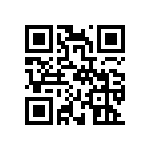 QR codes are included on dataset pages as a courtesy if you are linking from a print publication. Any correspondence concerning this repository should be sent to research-data@bath.ac.uk.